The 70mm Bushfire Weepa for brick weep holes is a shortened version of the High Performance Bushfire Weepa. The patented grate is designed so that under extreme heat from bush fires it does not melt but chars and retains its structural integrity. The stainless steel mesh is retained in situ protecting the cavity from fire brands and sparks. Mesh specifications: T304 grade stainless steel woven mesh, wire aperture 0.415mm, wire diameter 0.22mm. The High Performance Bushfire Weepa comes pre-assembled and is installed into the brick weep holes by the bricklayer. It can then be adjusted by the renderer who uses it as formwork to achieve neat and beautiful finishes. After painting and clean up the mortar guard is removed for attractive, bushfire and vermin proof airflow and drainage. Provide weepholes to AS3700 clause 3.2.3, in the form of High Performance Bushfire Weepa (Product Code 11-HPBW) for Level BAL-LOW, BAL-12.5, BAL19, BAL-29, BAL-40 (delete four) construction in bushfire prone areas as defined in AS3959:2009; in perpends to external leaves of cavity walls in the course directly above damp proof courses, flashing and cavity fill, and at the bottom of infill cavity. Spacing: Not to exceed 1200mm. Note: Designs for damper climates and air conditioned buildings should consider closer spacing for greater airflow to dry cavities. Fine stainless steel ember guard tested by CSIRO to survive the hottest bushfire. Suits rendered lightweight panels and Kiwi bricks. 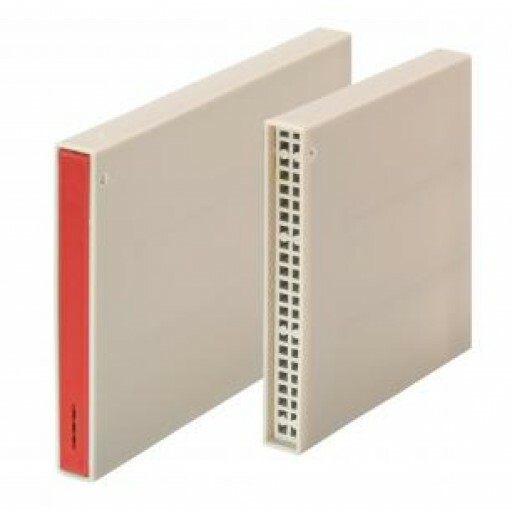 Installed into weep holes during external panel fixing or bricklaying. The spark arrester, vermin proof guard and red mortar guard come fully assembled and hinged in the Weepa body. Compliance with all specifications of AS3959:2009 (now current Australia wide) including Bushfire Attack Levels BAL-LOW, BAL-12.5, BAL-19, BAL-29, BAL-40 and also for Bushfire Attack Level BAL-FZ when a minimum setback distance of 10m from the classified vegetation is achieved. Cheapest and easiest method of achieving compliance. Rendered finishes made easier and better looking and renderers love using it.